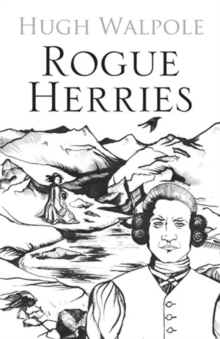 Described on its first publication by John Buchan as the finest English novel since Jude the Obscure, Rogue Herries tells the story of the larger than life Francis Herries who uproots his family from Yorkshire and brings them to live in Borrowdale where their life is as dramatic as the landscape surrounding them. Proud, violent and impetuous he despises his first wife, sells his mistress at a county fair and forms a great love for the teenage gypsy Mirabell Starr. Alongside this turbulent story, runs that of his son David, with enemies of his own, and that of his gentle daughter Deborah with placid dreams that will not be realised in her father's house. 'As a feat both of knowledge and imagination the book is huge' Observer 'A superb work of fiction.